Simplicity and elegance. Traditional design combined with sleek lines. The Craftsbury from Hergom has all of this and more, not only beautiful aesthetically, but it is remarkably functional and adaptable for a variety of space. 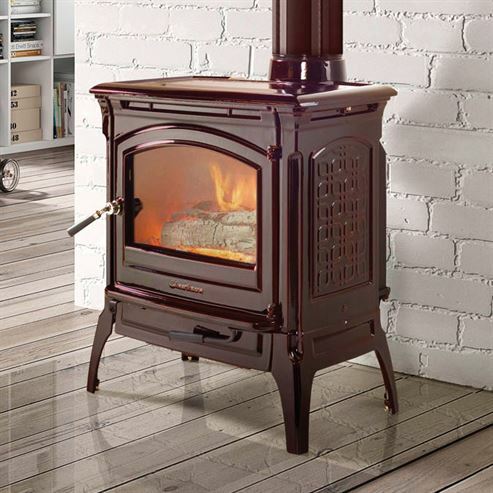 The lovely texture of the robust cast iron, with intricate details down the side panels make this stove not only traditional but also with the options of brown majolica enamel or ivory enamel there is a modern twist.